Saudi Arabia and Israel have made public their mutual interest in pursuing a confrontation in Lebanon. Despite Saudi Arabia’s tough rhetoric and brutal assault against its neighbour, Yemen (the poorest country in the region), the unfortunate reality is that Saudi Arabia is not the strongman it has hopelessly painted itself to be. This isn’t conjecture, nor is it an attempt to needlessly bolster and promote regional rivals such as Iran, as has become the trend among anti-imperialist commentators. Yes, Saudi Arabia is an oil-rich country who uses its money to great effect on the international level. Saudi Arabia’s relationships with the nuclear powers, Russia and China, have also been intensifying. However, what the media won’t tell you is that there is actually a hidden reason why Russia offered to sell Saudi Arabia its advanced S-400 missile defence system, while spending years flirting with selling Iran the lesser S-300 system. China knows this, Russia knows this, and most importantly, Saudi Arabia knows this too. That is why on multiple occasions, Saudi Arabia has expressed its desire to, “have the battle in Iran rather than in Saudi Arabia”. And when the kingdom says it wants to have the battle “in Iran”, it doesn’t appear to mean that Saudi Arabia is in any way close to launching a strike or an invasion anywhere close to Iran. Rather, it appears the anti-Iran axis will continue the same tried and true strategy it failed to implement in Syria, and in neighbouring Lebanon, whereby regional powers funnelled weapons, money and fighters to bolster Sunni extremists attempting to topple the Syrian government. Over half a decade later — with hundreds of thousands of bodies left buried beneath the rubble — it appears the plan to destabilise Syria has failed abysmally. In the meantime, Saudi Arabia has essentially captured the Lebanese prime minister in its latest attempt to bully another country into direct submission. Never mind that Saudi Arabia, and a host of its allies, already embarrassed themselves drastically by trying to teach Qatar a lesson for being friendly with Iran and having an independent media that doesn’t kowtow to Saudi Arabia’s demands. The Saudis apparently thought kidnapping an elected official would somehow save them from their complete demise as a regional power. There’s a reason Saudi Arabia and Israel – two ideologically opposed nightmares – have begun bonding publicly since Donald Trump’s election victory. There’s also a reason why, not so long ago, Israel held its largest military drill in 20 years. It simulated a full-on invasion of Lebanon with the specific intention of going after Hezbollah, an Iranian-backed Shia proxy militia. In fact, Israel has been planning for a major war for some time now, yet the mainstream media hasn’t deemed this to be anywhere near as newsworthy as it should be. There’s also a reason why Saudi Arabia warned its citizenry to leave Lebanon immediately. Saudi Arabia is not taking its war to Iran – it’s taking its war to Lebanon, the latest victim in the anti-Iran coalition’s on-going pursuit to confront Iran’s growing sphere of regional influence. One should bear in mind that Lebanon was one of the seven countries listed in US Army’s four-star General Wesley Clark’s exposed memo of the nations the US intended to topple following 9/11 and the invasion of Afghanistan in 2001. Furthermore, Israel already tried its hand at invading Lebanon in 2006 but was, by all accounts, unsuccessful. This time, Saudi Arabia and Israel have made public their mutual interest in pursuing a confrontation in Lebanon. No one will admit it, but Saudi Arabia is in trouble. While grappling with this growing reality, the country has to find a way to ensure it doesn’t lose out massively to Tehran, its regional arch-rival. But Hezbollah is not going anywhere in Lebanon. The country’s president, who is a Christian, already affirmed in September of this year that he sees Hezbollah as necessary to ensure Lebanese resistance to Israel. This is why Israel labelled both Lebanon’s army and Hezbollah as its foe — the two are heavily intertwined. Therefore, bullying Lebanon into conceding to Saudi Arabia and Israel will be close to impossible without using direct force. Given Hezbollah’s battle-hardened resolve in the Syrian conflict, its surge in membership, its growing alliance with Russia and Iran, and its newly acquired stash of weaponry, one can only hope Saudi Arabia and Israel are fully prepared, not only for a Syrian War 2.0, but also for the regional explosion that could ignite if these wars in the Middle East are not significantly de-escalated and scaled back within the next few years. Exactly……These egoistic Munfiq kings need to know that ISLAM ruled the world because of peace/love/tranquility/equality and justice for all. The only reason they feel threatened is because their advisors are Americans/Jews and they are making sure that most of the damage done, in confronting Iran, remains in middle east. FYI, You fail to realize that Iranians are Persians, not Arabs! By the way, any comment on Iran supporting Houthi rebels to destabilize Yemen and threaten Saudi Arabia? You must be from a different planet or reading the fake history Arabs and jews are semit, meaning the eternl enemies of theeir own folks. And the christians and muslims too, It was Moses who brought the hebraesh people from Egypt into the jordan valley.This is not to say that the jews from the European continent should be implanted in the holy land forcing the palestinian arab muslim and christian dwellers out of their ancestoral homes into refugee camps around the entire middle east. Even Soloman would not have approved such a solution. Iranian Ayatullahs were sent into exile in arabian lands by the Shah of Iran, tosay that they are meddling in the region is a ms-statement since it was the educated Iranians who were running the affars in gulf states long before the oll sprudled in the land making the illetrate sheikhs rich. Too bad the Americans foreign policy has not altered towards Iran since the down fall of the monarchy. strike Iranian cities in reply! You are definitely not serious, Israel challenging Iran which henceas nuclear deterrence and the medium range missiles wiich can easily reach the entire middle east. Sir, Iranians in my analyi did not meddle but actualy have been running arab affairs for decades before the illetrate sheikhs became of age after oil was discovered in their sheikhdoms. 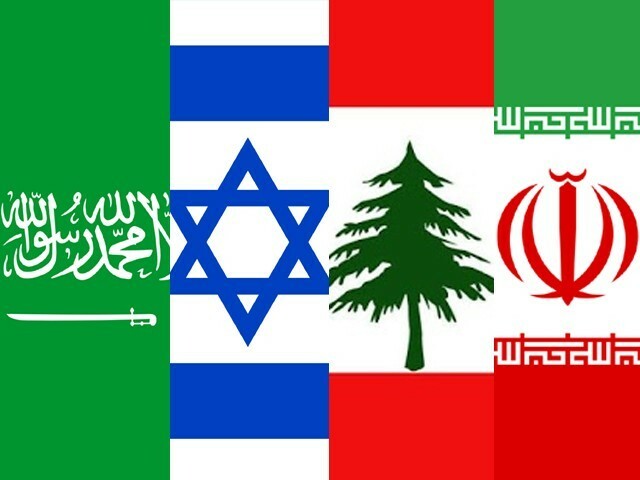 None of the regional players are the proxies of Iran but do receive political, moral and material support from the Iranian Government.. Saudi Arabia stands today as the sole looser in the regional politics despite Trumpers and Israelites support for the machiavllean policy of the new monarch. This is my opnion. Israel army failed to hold their ground against Hizbollah fighters and stand to loose their State if they dare take on Iran. Iranian missiles are the new factor in the balance of power in todays middle east and will keep the military strategsts busy in the next decade. It is too early to prognose the winner. i certainly would not bet on Israel in the next round..
the Hebrew Tribes out of Palestine. Scattered them. And more than once they fought the Ancient Egyptians. Let me know if you want to continue more after reading the following article. we know. thats the answer that there will always be a chant of death to america. because its the country which meddles in EVERYONEs affairs. No country in the middle east is capable to retaliate once it receive the direct hit of lethal nukes, not even Israel. Jerusalem is now the city wth security walls and holy sites being prepared for the next combat, the semite crown prince of saidi arabia is volunteering for test runs of the Iranian dummy misciles.